Have you ever heard of Facebook? Am I kidding? Yeah... Now more than 800 million people including you knows Facebook. What about before 2004? At that time people didn't know about Facebook and how it's gonna be. Now Facebook is the most popular social media platform active on the Web. It has gained huge success since Mark Zuckerberg founded it on 2004. Facebook now integrates all over the web including websites/blogs, web applications and more. You know all about creating Facebook account and all that. But do you know how to verify a Facebook account? Verification of your Facebook account is vital in scenarios such as if you are planning to make use of Facebook applications on your site or elsewhere, if you wanna claim username for your profile or business page. However Facebook only allows you to verify your Facebook account via your mobile phone. It's very simple process and you just need to have your mobile phone to receive verification code and verify your account. But it's compulsory if you would like to experience some of exclusive features provided by Facebook. 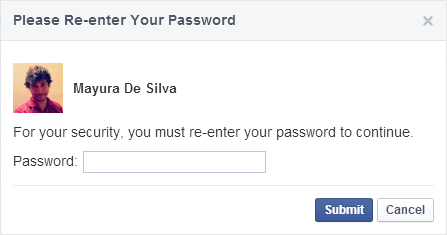 * If you just sign up for your Facebook account, then you gotta confirm the email sent by Facebook before you verify your account. So make sure you have confirmed your Facebook account via email. 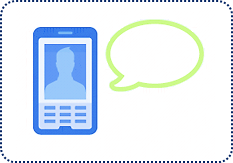 * If you have added your mobile number to your Facebook account or activated Facebook text notifications, you don't need to verify your profile again. 1. Navigate to Facebook Mobile Settings page. 2. Click on the Add a Phone button. 3. Now you may prompt to enter your current password. 4. Select your country and mobile carrier to continue. 5. Now follow the instructions and enter in the confirmation code you received in the given text field. * If you didn't receive confirmation code after all, you can report it to Facebook via Mobile Account Verification form. * Don't keep Share my phone number with my friends option unless you wanna share your mobile number with friends on Facebook. how can i verify my facebook account other then the mobile phone option b'coz text message is not allowed here in j&k state(india).